For the First Time ever, we bring in this album the best of world music that has been chosen by a world audience and are smash hits on i-tunes the world’s most popular online music store. 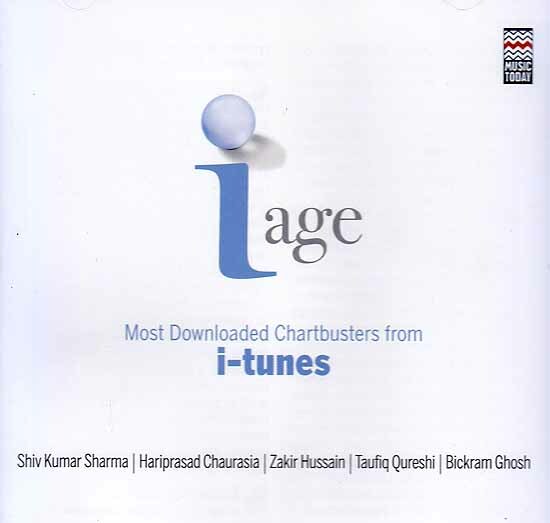 These are the most download chartbusters on i-tunes and have become an exclusive part of listener’s choice. The album features artistes such as Shiv Kumar Sharma, Hariprasad Chaurasia, Zakir Hussain, Taufiq Qureshi and Bickram Ghosh who have gained popularly worldwide by making contributions to Indian classical music combining it with contemporary sounds and giving it a modern appeal. The album is surely a treat for all music lovers.